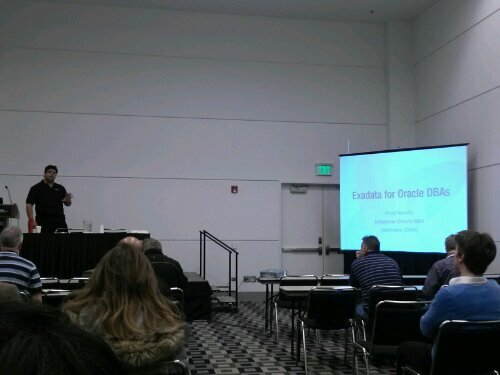 So on this 2nd and final day of the annual RMOUG Training Days event, I started out by attending an excellent session on Exadata for Oracle DBAs. Even though I am not a DBA these days I thought it would be good for me to get a better understanding of Oracle’s engineered Exadata machine. I feel very luck to have attended this session given by Oracle Technologist of the Year, and ACE Director, Arup Nanda. He had some of the best graphics and clearest explanations of the basic anatomy of an Oracle database I have ever seen or heard. 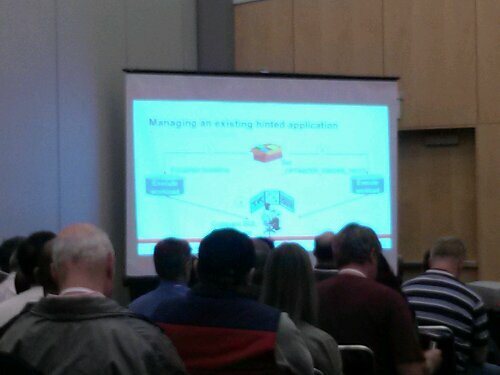 He gave some pretty detailed explanations of what he called the “magic” of Exadata and why it works so well. Arup even coined a new job title, which he claims for himself, DMA – Database Machine Administrator. Because Exadata is an engineered system, it contains database, storage, and networking all in one rack. 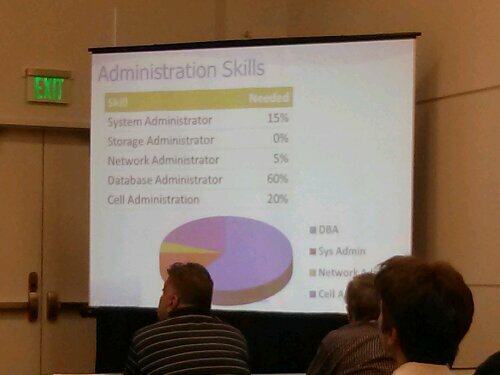 This requires some skills beyond what most dbas have or are expected to have. 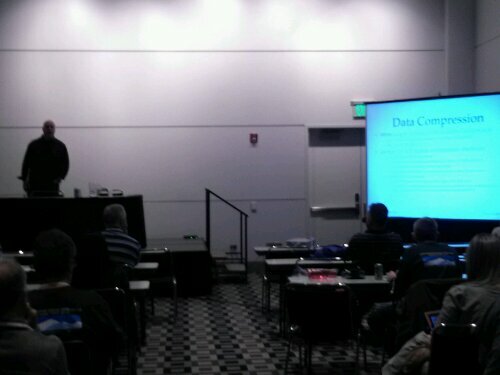 He gave us a nice break down based on his experience using Exadata. After this talk I can see why he was give the awards. He really knows his stuff and how to communicate it. You can follow him on Twitter @ArupNanda and see for yourself. Next I went to see my friend,and ACE Director, Galo Balda from Austin, Texas. He gave a very informative talk about Regular Expressions. His presentation was very informative with easy to understand examples of how to write and use regular expression and associated metacharacters to do some pretty neat things with SQL. If you attended the conference be sure to download his slides. They will make a great cheat sheet. You can follow him on Twitter @GaloBalda or go to his blog. After a nice vegetarian lunch, I went to see Maria Coglan talk about using (or not using) hints in SQL and how it affects the optimizer. Last year at Kscope12, I attended one of her optimizer sessions and felt like my head would explode becuase of all the information she gave. She assured me this talk would not be as bad. She was right. It was a very informative talk. Her main message was to always use caution when using hints. You really need to understand what you are or doing or you could make your application or reports run worse rather than better. Maria even explained how to work with applications that already have hints embedded in them. After Maria’s session I did my final session for the event. 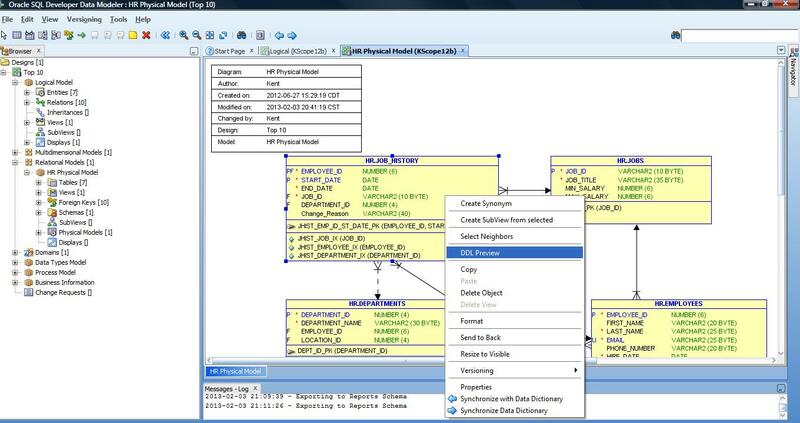 I talked about my Top 10 favorite cool tools in SQL Developer Data Modeler. There were 30 or so people in attendance. Most of them even stayed through the whole talk! Which is pretty good since I ran over my time. There was just so many tips and tricks to show. I will put it up on SlideShare in the next few days. 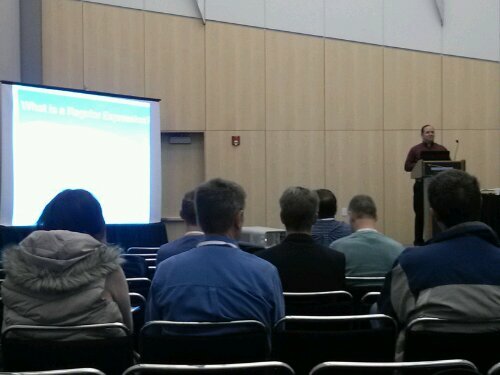 The final session for the event that I attended was done by RMOUG President, my long time friend, Tim Gorman. 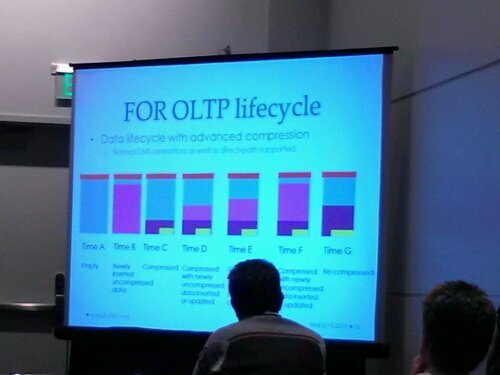 Tim talked about the various options for data compression in the Oracle stack. Tim gave some pretty detailed explanations and tried to depict how compression works with some nice graphics. He also told us which ones cost additional license fees. For me, the most useful part was his explanation about how having columns at the end of the table allows a default sort of compression to take place. I had heard this a long time ago. It was the reason so many of us were taught to put all mandatory columns at the beginning of the table – it saves space. 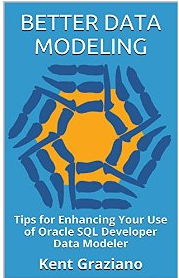 In recent years I have been told by various DBAs that the rule no longer applies or made sense. They were wrong! Tim gave us a real world example of how putting populated columns at the end of a table cost a lot of extra space to be used. I will be taking that tidbit of information back to the office for sure. You can follow Tim on Twitter @timothyjgorman. A side note about RMOUG: At lunch, Tim shared with the attendees an agenda from 1991 for the 2nd RMOUG Training Days. We now realize that we started this event in 1990 and next year will be the 25th anniversary! (I say “we” because I was part of the planning committee back then and one of the early speakers too). Another interesting notes was that 2/3 of the speakers came form out of town. Many, including me, paid there own way. 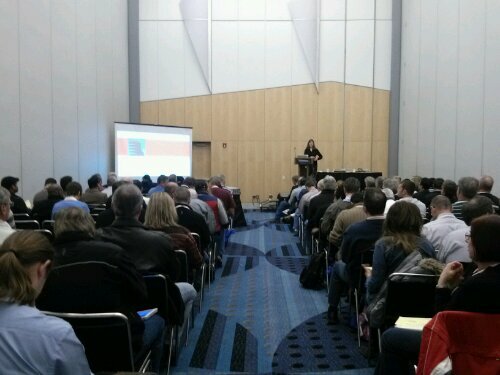 Several speakers and attendees I know even had to take vacation time from their jobs to attend. It is that important and that good an event! So put it on your calendar to attend what is probably the most successful and longest running regional Oracle user conferences in the country. It will be in early February 2014. Watch www.rmoug.org for details. And of ocurse count on me to post it here too. Ciao for now! I am off to ski with some RMOUGers tomorrow.